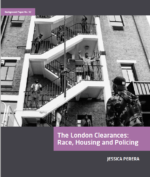 Race and class: the colour of struggle, 1950s-1980s, edited by Jenny Bourne, brings together the voices of unsung political heroes of the time, groundbreaking new research, and campaigning material from the archives, providing readers with key resources on Britain’s history of black anti-racist activism – especially relating to policing, racial violence, workers exploitation and immigration controls. Those who speak from its pages – mothers, workers, students, exiles – testify to the common experience of colonialism and racism which made Black the colour of their fight. Prevent and the Children’s Rights Convention tests the duty placed on schools to prevent children being drawn in to terrorism against key articles in the United Nations Children’s Rights Convention (COROC). A report cataloguing the deaths of the 77 asylum seekers and migrants who have died either in the UK or attempting to reach the UK from 2006-2010. The IRR has catalogued a roll call of death of the 221 asylum seekers and migrants who have died either in the UK or attempting to reach the UK in the past seventeen years. The first study to ask black groups for their experiences and opinions on community care.